Schools that host campaign visits from politicians risk breaking the law or charity rules if they don’t act with political balance. Candidates from all the major parties have made dozens of visits to schools since the general election campaign began. But schools have to adhere to the strict rules governing political campaigning that include providing political balance. The 1996 Education Act requires local authority-maintained schools to secure balanced treatment of political issues, and that pupils are “offered a balanced presentation of opposing views”, including during extra-curricular activities. The government’s governance handbook for all schools, including academies, also advises that boards, heads and councils “must not allow the promotion of one-sided political views”. Where political issues were covered, “opposing views must be presented in a balanced way”. Simon Foulkes, from education lawyers Lee Bolton Monier-Williams, says the rules restrict visits from politicians. “This would not prevent a school hosting a hustings open to all the local candidates, but if pupils were to be present it certainly does prevent visits by individual politicians during the build-up to an election,” he told Schools Week. He said academies were also governed by Charity Commission guidance that restricts political activity or campaigning unless the organisation presents political balance. However, research by Schools Week has found that the situation is rarely cut and dried. 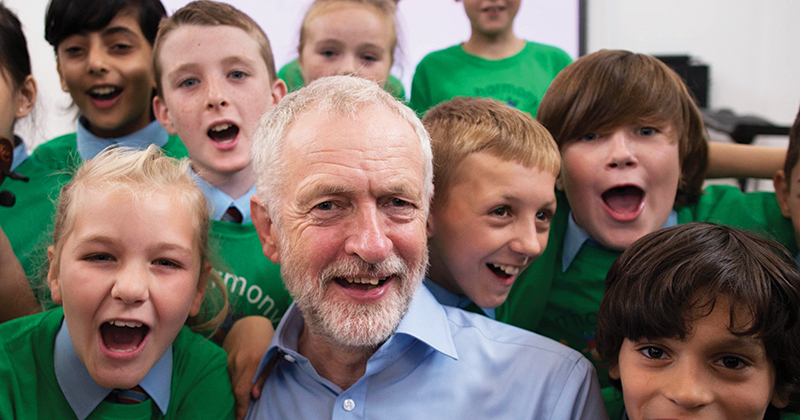 On May 10 Jeremy Corbyn visited Clifton Green Primary School, an LA-maintained school in York, with local candidate Rachel Maskell. York Council was not aware of the Labour leader’s visit until officials saw him on TV. Andy Carter, the council’s head of communications, says the school talked to all political parties earlier in the year about a plan to get a politician to talk about what it meant to be a councillor or MP “as part of the requirement to teach democracy”. “It appears the local Labour party office offered to help, but the school wasn’t expecting the speaker to be the leader of the Opposition,” says Carter, who confirmed no other politicians were planning to visit the school ahead of the election. Justine Greening, the education secretary, visited Bedford Free School on May 12 with local Tory candidate Richard Fuller. However, principal Mark Lehain says this was part of an event to open new school buildings, arranged before the election was called and to which local Labour and Liberal Democrat councillors were also invited. Greening was told not to campaign in her speech to pupils, and instead spoke about her experience of learning a musical instrument when she was a child. Lehain, a fellow at the right-leaning think tank Policy Exchange who has previously stood as a candidate for the Conservative party, admitted he was “clearly a Tory”, but said he had “always been really clear” that heads should not use their schools to promote their own political opinions.